The photos showed drawings all over the walls and books strewn about just a week after the Tanjung Aru library's massively successful opening. One post in particular had received over 1,900 shares at the time of writing. "Do you bring your children there to actually read books or you just want praise for taking photos and uploading them on Facebook or Instagram. You all just want to be first in entering a new building," the post by a Facebook user read. "If your intention is for your children to read diligently and become a member so you can always borrow books, it's not a problem. But if you let your kids disrespect public property like this, I pity your mentality as parents." 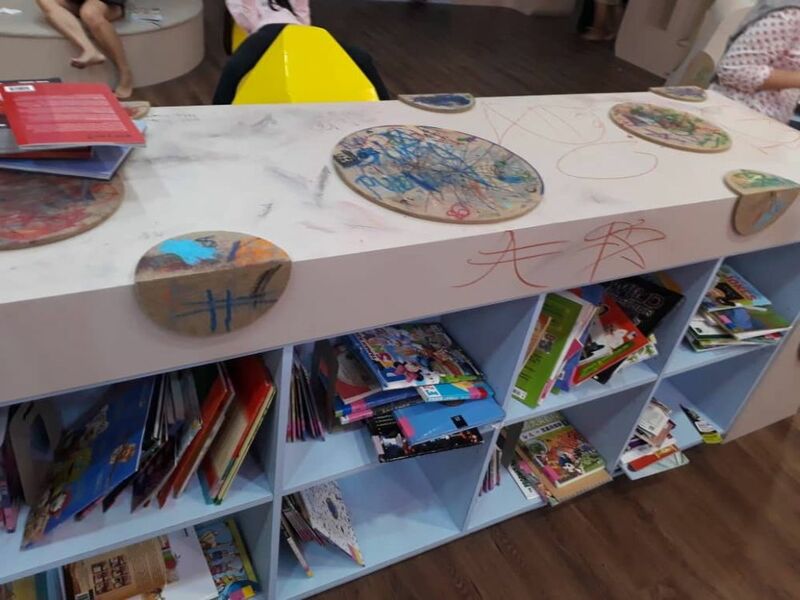 One netizen said they were disappointed to "see those pretty furniture had been conteng so badly" and that their children could not read in such a noisy library. 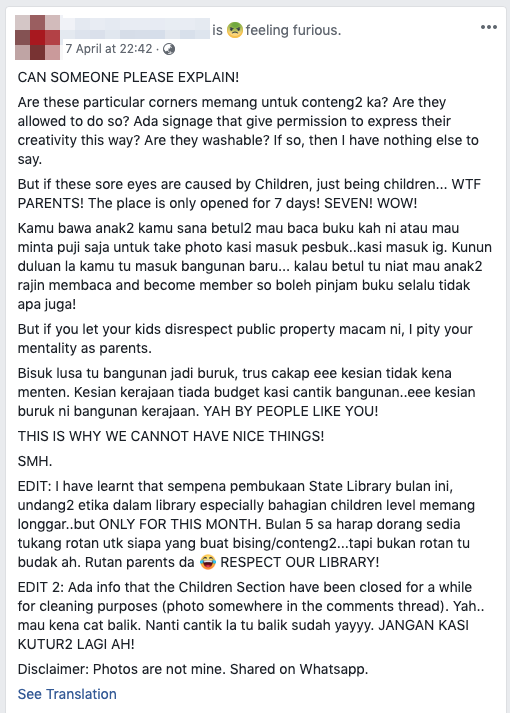 Another netizen claimed that not only did some children vandalise and tear books, but they were seen running around and knocking into smaller children - all while their parents kept their eyes glued onto their phones. "Children should have their corner to express their creativity, but to let children vandalise public property is wrong. My child 'conteng dinding rumah' also I scold," said another netizen. Library director Wong Vui Yin told Malay Mail he was hurt and dismayed at the state of the children's section. "I was notified by my staff on Sunday afternoon that the children's area was damaged. There were drawings everywhere, the books were lying on the ground being stepped on, the toilet seat was broken and the trash bins as well," he said. "It makes me so sad to see such damage after all the work we put into making this library what it is." - security checks on bags to ensure no crayons, colouring pens, or watercolours is allowed inside. Guys, we can do better than this.